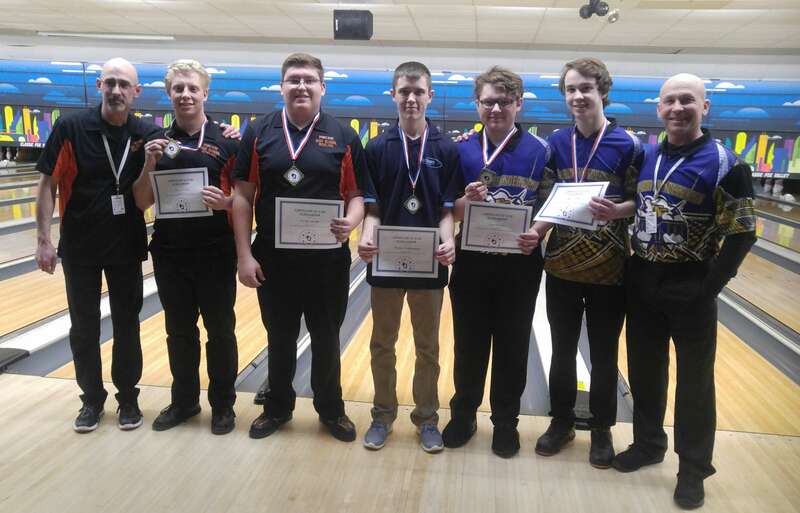 High school bowlers from around the state came together for the final event of the Wisconsin High School Bowling Club season on Saturday March 9th. 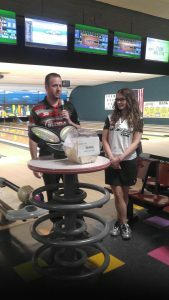 The All Star Team Challenge was held at Classic Lanes Fox Valley in Neenah. Proprietor Gary Mack and his team did a fabulous job hosting us. This year’s event saw 13 boys/coed teams and 12 girls teams; a total of 125 student athletes competing for $1,700 in scholarships. As in past years, spare making was a premium on this year’s Kegel Challenge Series Sunset Strip 3240 lane condition. After all teams bowled three regular (league format) games, they added scores for ten bakers, after which we cut to the top three for a step ladder finals to determine our team champions. Teams bowled two baker games in the step ladder. 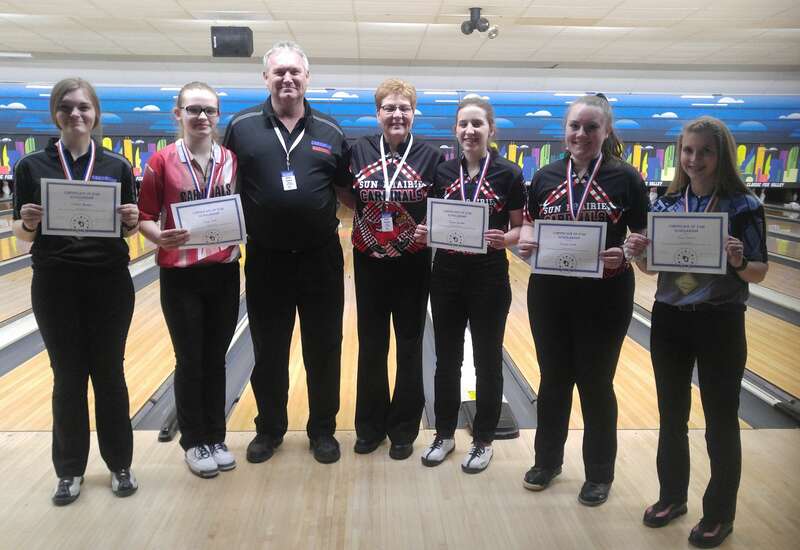 Our HSBC All Star Team Challenge Champions were District 4 for the girls; and District 9A in the boys/coed division. Each bowler on the championship teams received a $100 scholarship. 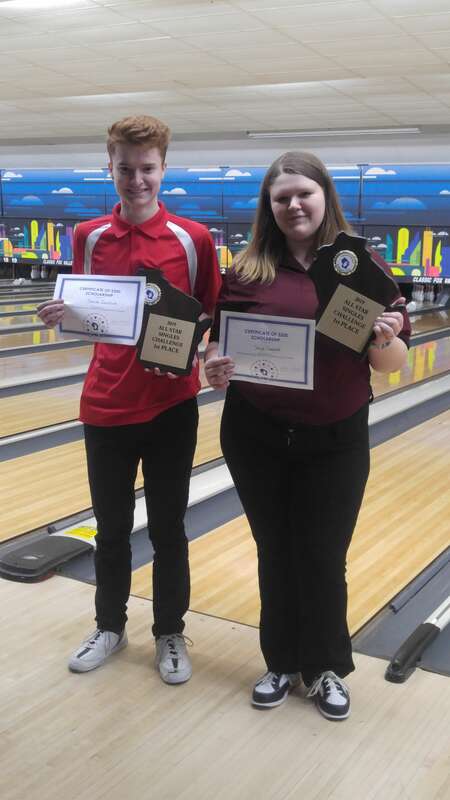 Our singles champions based on the first three regular games of competition were Skye Derks of Bay Port (District 8) with a 628 series and Jacob Zondlak of Harborside Academy (District 3A) with a 694. Our singles champions each received a $200 scholarship. 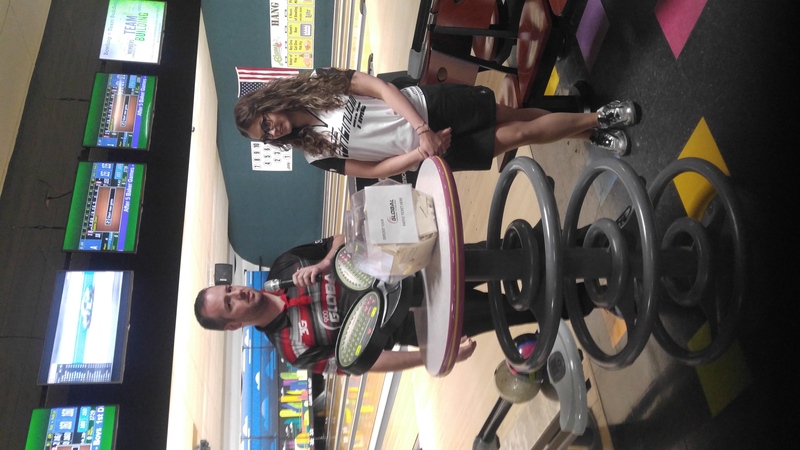 We want to thank 900 Global for their sponsorship and for bringing 2017 PWBA Rookie of the Year Daria Pajak to this year’s All Star Team Challenge! Fans enjoyed watching her throw some shots to increase the number of balls to be raffled from four to seven.